The West African Health Sector Unions’ Network (WAHSUN) held its second biennial conference in April this year in Cotonou, Benin. WAHSUN has inspired the establishment of similar networks elsewhere, particularly in Africa, so WAHSUN’s development holds great hope for deepening trans-national unionism on the African continent. This article describes the origin and development of WAHSUN and assesses the challenges and opportunities that its consolidation represents, in the hope that this could inspire other creative efforts to further solidarity of workers across borders. The idea of establishing the network was first suggested in 2004 in Accra, Ghana, during that year’s annual review and planning workshop of the English-speaking (East and West) Africa sub-region of the Public Services International (PSI). Participants from the health sector unions of different countries recognised that they faced similar attacks against jobs and trade union rights under the guise of ‘public sector reforms’1. Two years later, PSI organised a meeting for leaders of these unions where a memorandum of agreement was signed to form a sub-regional network to defend public healthcare delivery and health workers. On 9 November 2007, WAHSUN was established at Abuja, Nigeria. The unions which founded WAHSUN were the Medical and Health Workers’ Union of Nigeria, the Health Services Workers’ Union of the Ghana TUC, the National Union of Private Health Sector Workers of Liberia, and the Sierra Leonean Health Services Workers’ Union (SLEHSWU). Officials of the Ugandan government and the health employees union were present as observers. Over the past nine years, WAHSUN’s membership has expanded to cover fourteen unions in nine of the fifteen countries constituting Ecowas (the Economic Community of West African States), including English and French-speaking countries. Its influence has also grown significantly. While it has not yet been successful in its bid for observer status in the West African Health Organisation (WAHO), it has gained their recognition for being the driving force in the annual commemoration of 9 July as WAHO day. The network could also be credited with landmark achievements to improve the wellbeing of members of its affiliates. For example, Sierra Leone health workers’ salaries were increased by almost 1 000 % with the support of SLEHSWU and following WAHSUN’s intervention. WAHSUN also significantly influenced the country’s Decent Work Bill before it became an act last year. During WAHSUN’s development, exchanging experiences and ideas - a statutory element of the twice-yearly WAHSUN plenary sessions - has been very useful for the member unions. Further interactions in between plenaries build on these. For example, the Nigerian unions’ successful advocacy towards an inclusive National Health Act in 2014 benefited immensely from the experiences of the Ghanaian sister unions, where a similar act had been passed a few years earlier. WAHSUN was also important in responding to health crises, especially the recent Ebola outbreak. The network called vociferously for the necessary improvement of the health sector in West Africa, emphasising crisis preparedness. The role played by the network’s member-unions’ to combat the spread of Ebola in a context of poor funding of health systems and ill-equipped health workers prompted the PSI to initiate the Ebola Response Strategy, which recruited an intervention officer who has been working closely with WAHSUN. Perhaps the most striking thread that runs through WAHSUN’s development is the fundamental principle of the trade union movement: solidarity. Stronger unions have borne the costs of smaller unions’ participation from the outset. A solidarity fund was established in 2012 to make this more systematic (Ogunseyin and Aiyelabola, 2015: 144) but even the smaller unions make a point of paying what they can afford into the solidarity fund. The first support for family members of health workers who died in fighting Ebola was from WAHSUN’s solidarity fund, and the network received €1 000 from the Global Labour University Alumni last year to support its Ebola Response Strategy. WAHSUN has become a model for pan-African networks of trade unions in the civil service, municipalities, and the energy and education sectors. Although WAHSUN is still in its formative stages, there are lessons which could be generalised despite the peculiarities of different sectors. The network was formed on the eve of the recession. The global crisis could have provided an opportunity for re-making the world but, as WAHSUN noted, ‘Unfortunately, governments have been attempting to find solutions with the same neoliberal tools that constitute the problem, which include privatization, deregulation and cuts in social spending,’ (WAHSUN 2012). In the health sector in the sub-region, this took the form of continued attacks on public health funding. In general, it was marked by increasingly aggressive attacks on trade union rights and on concessions won by the working class in earlier periods, as seen in the waves of austerity in different regions of the globe. Sectoral networking could be very useful for developing practical solidarity work. For example, WAHSUN has robustly taken up the task, initiated by the PSI, of bringing global pressure to bear on the Liberian government to reinstate Joseph Tamba and George Poe Williams, the president and general secretary respectively of the National Association of Health Workers of Liberia (NAHWAL), as workers, and to lift the proscription on NAHWAL. Sectoral networking could also be useful for sector specific campaigns which tie workers’ economic interests with our social commitment to build a more just society. For example, the Campaign for Universal Public Health Coverage, which the biennial conference resolved to pursue, aims to link better remuneration and improved working conditions for health workers with universal access to public healthcare. Through physical exchange of organisers, researchers and youth leaders, the network helps to spread best practice and expand institutional knowledge in unions across borders. At its recent conference, WAHSUN recognised the challenges this produces and therefore adopted a methodical approach to facilitating such networking. The very idea of such exchanges beyond bi-partite bonds presents a wealth of possibilities for the trade union movement. It is an ideal time for WAHSUN to work closely with sister health unions in other sub-regions on the continent towards establishing continental networking (Aye 2016). Some unions inspired by WAHSUN commenced pan-African initiatives that have floundered. Another lesson is to consolidate sub-regional networks before venturing into broader projects when linking the sub-regional, regional and global dimensions of transnational unionism. WAHSUN represents a creative approach to trans-national unionism in the West African region. It has engendered some successes for member unions through advocacy, deputations and robust exchanges of ideas and experiences. It has inspired pan-African networking initiatives but chose to first consolidate itself at the sub-regional level while building bridges with health sector unions in other sub-regions on the continent, aiming to forge an amalgamated continental network in the near future. Developing in a period when neoliberalism has spawned socio-economic crisis but retains hegemony over governments’ practices, the network faces an uphill battle to fulfil the tasks it has set itself for members of its affiliated unions as well as for the good health of the populace as a whole. The biennial conference, however, represents a moment to rekindle the network as a fighting body for quality public health for all and in defence of health workers. 1 The Bureau of Public Sector Reform had been established in February 2004 in Nigeria, while steps were being taken towards creating the Ghana Ministry of Public Sector Reforms, formed in August 2005. 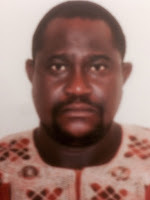 Baba Aye is Deputy Secretary General of the Medical & Health Workers' Union of Nigeria (MHWUN) and currently serves as the Coordinator-Secretary of West African Health Sector Unions' Network (WAHSUN). He has recently been appointed as the Health & Social Sector Officer of Public Services International (PSI). Aye, B. (2016) ‘WAHSUN in perspective, presentation to the Public Services International English-Speaking (East and West) Africa Sub-Regional Advisory Committee meeting, February 16-17, Kigali, Rwanda. Ayelabola, B. (2016) ‘Press statement, 2 May: International working class solidarity needed to reinstate comrades Joseph S. Tamba and George Poe Williams, and for the restoration of trade union rights in Liberia’, WAHSUN. Ogunseyin, J.A. and Aiyelabola, B.O.A. (2015) ‘International Relations’, in J. Odah and I. Onah (eds.) The Origin and Development of Medical and Health Workers Union of Nigeria, Medical and Health Workers’ Union of Nigeria, Abuja. WAHSUN (2012) ‘Communiqué of the 9th plenary session of the West African Health Sector Unions Network (WAHSUN) held at the Health Services Workers’ Union Centre, Tema, Ghana, on September 21-22’. WAHSUN (2016) ‘Communiqué of the 2nd Biennial Delegates’ Conference of WAHSUN, April 18-20, in Cotonu, Benin’.